Dallas Cowboys tight end Jason Witten continues to drive his team forward with his 17 catches so far — the most of any tight end at this point in the season. No other player at his position has more than 13 catches. At this pace, he will have between 120 and 140 catches by the end of the regular season. His personal record was set in 2012, with 110 catches. While these numbers look ahead for Witten, he just reached another milestone that commemorates the years behind him. 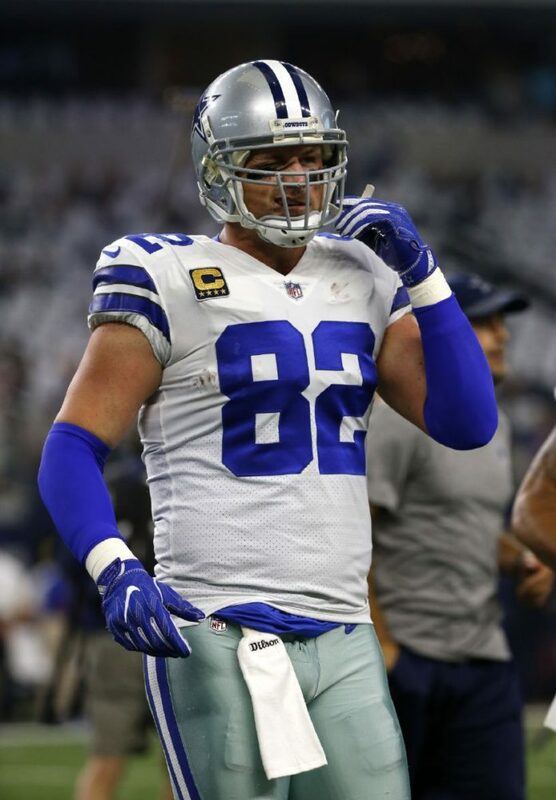 After facing the Giants, Witten was tied with former Cowboys player Ed “Too Tall” Jones from the 70s and 80s for most games played with the Cowboys. But Sunday’s match against the Denver Broncos marked game No. 225 for him, currently the most of any player in franchise history. And he still has 14 games remaining this year. “It is my hope that this honor will encourage and inspire the next generation of student-athletes to not only perform at a high level on the field, but to use the platform to make a positive impact on campus and in the community,” Witten said.